Sun-bleached buildings, swaying palms, Afro-beats, and exotic flavours. We’ve set the standard for breathtaking Caribbean voyages that let you see this part of the world as only Azamara can. With our smaller ships, more overnights in Havana than anyone else, and immersive experiences to help you connect with the local culture on-board and onshore, as well as all of our inclusive amenities and club-like service, you can cruise to Cuba and bring your favourite boutique hotel along with you. Soak up the sun, feel the rhythmic beats of Cuba and Miami and relax on powdery white sands in Labadee® and George Town. Big and small, iconic and exclusive - no matter what kind of adventure you’re seeking, you’re sure to find it with our Cuba cruise itineraries. One of the most idiosyncratic places in the world, Cuba is somewhere that every open-minded traveller – whatever their usual tastes – should take the time to explore. 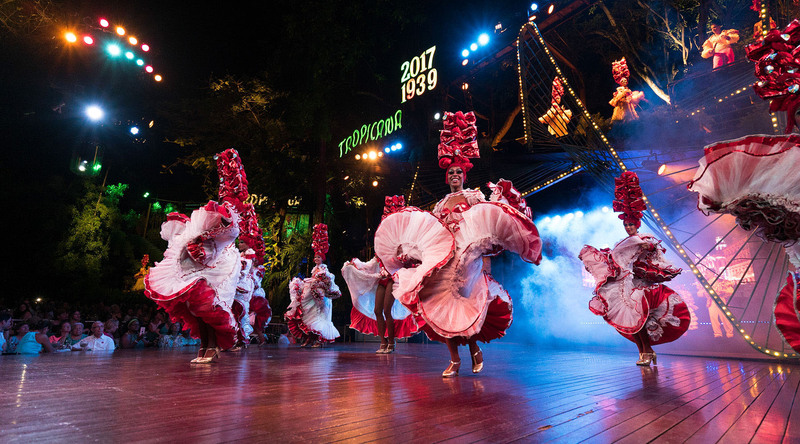 With Azamara Club Cruises, you can do so in ways that will make you think and feel like a lifelong Havana resident. We’re fully compliant with U.S. policies on travelling to Cuba, and ready to set sail! Questions about our Cuba voyages? Read our FAQs. Crystal clear waters, white sandy beaches, and perpetually sunny skies. The largest Caribbean island, Cuba is a stunning tropical destination. But it’s also a captivating place with a complex history, rich culture, and fascinating people. It has a vibrant pulse and life of its own, and is a place full of passion, music, heart and soul, where good coffee, legendary cigars, classic cars and fine rum are plentiful. Cuba has plenty to offer and even more to explore. Sail to some of the most exciting stops in the Caribbean. If adventure is what you seek, you'll especially love that it's somewhere many have never been. A legendary city. A true paradise, all but lost. A bustling urban center with a Caribbean spirit and an Afro-Cuban soul. And a pretty, breezy oceanside town.